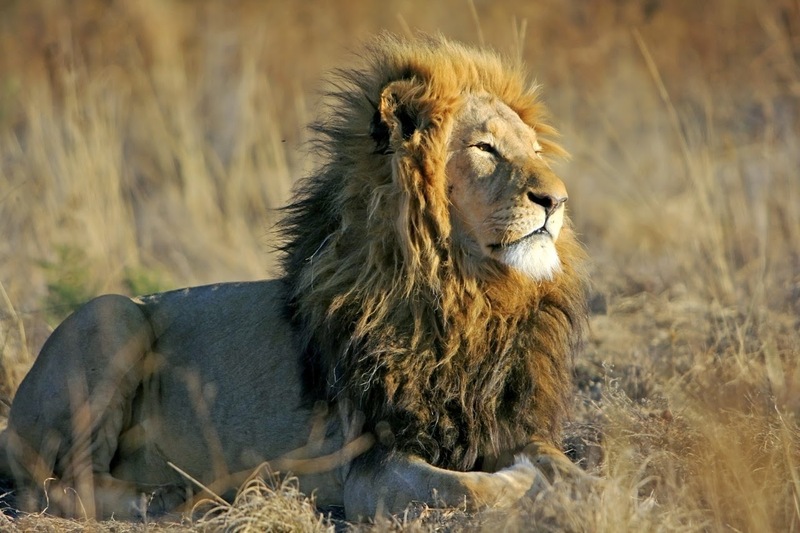 A thick, dark mane shows that a lion is fit and healthy. 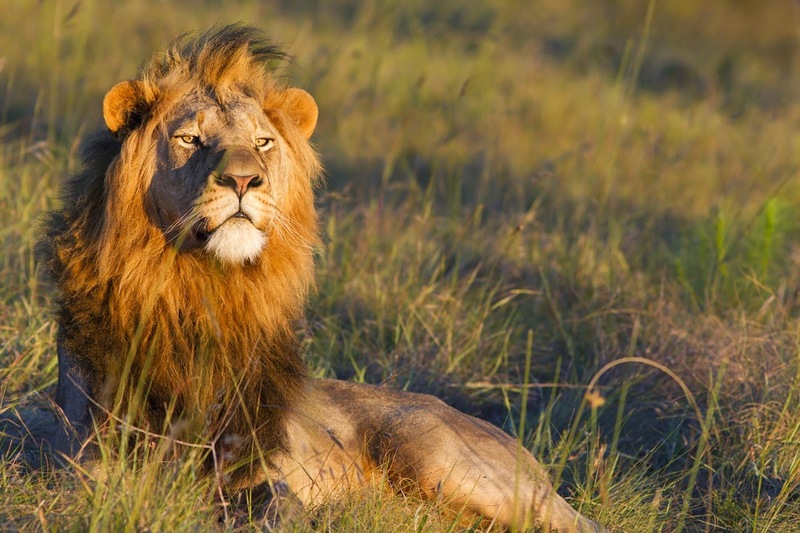 Lionesses prefer males with dark manes, according to the Serengeti Lion Project, and a thick, long, dark mane signals to other males that a lion is in fighting shape. Every species is important to the health of an ecosystem. Removing one species can weaken a habitat, but if a keystone species is removed, an entire ecosystem could collapse. 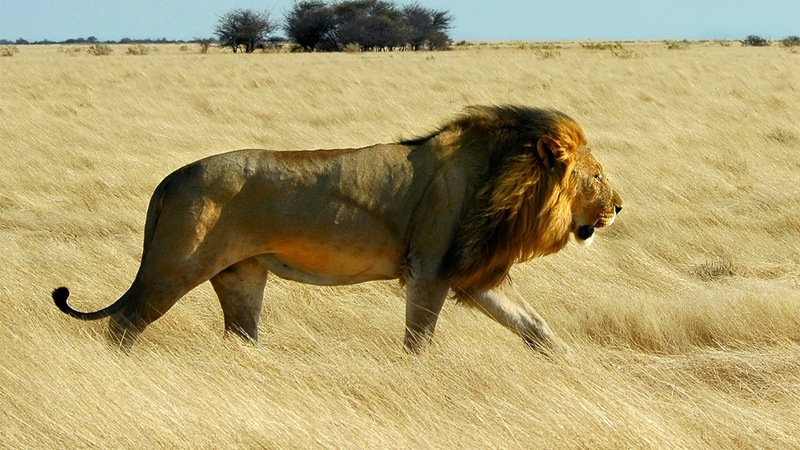 If large predators such as lions disappeared, herd populations would balloon, and grazers would eat up the grass. The savanna would become a sandy desert. 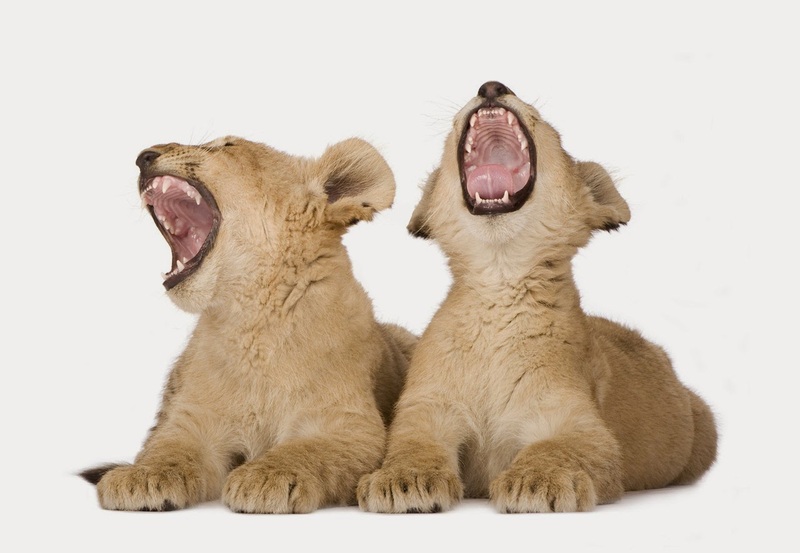 Lions spend about two to three hours hunting, one hour eating, and a full 20 hours sleeping every day! They’ve got street (well, savanna) smarts. To be successful, lions must outsmart their prey. So they memorize every inch of their hundred-square-mile territories. They store detailed, 3-D maps in their brains, like in a video game. They know the location of their prey’s favorite hangouts, watering holes, and worn paths. 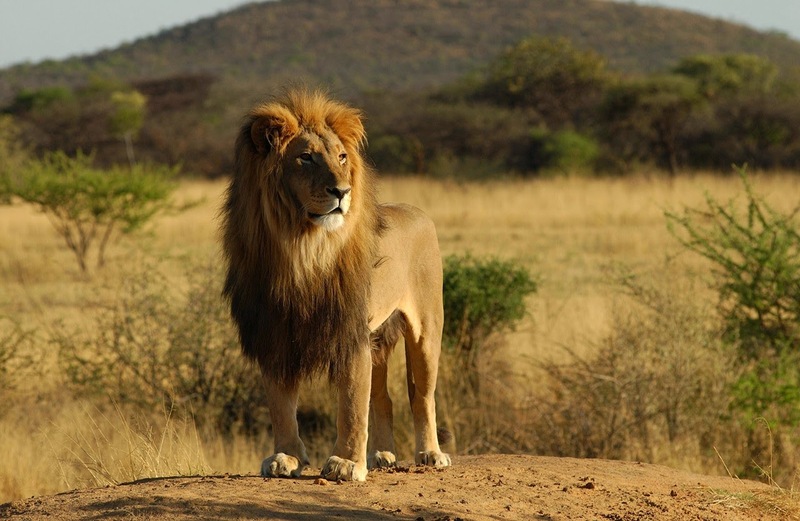 Lions can easily recall the best lookout points in their territory and the best spots to launch an ambush. They’re the ninjas of the animal kingdom, masters of the stealth approach. Their padded feet make barely a sound on soft grass and sand. And their tan-colored coats blend into their natural habitat. A lion’s prey almost never sees it coming until it’s too late. 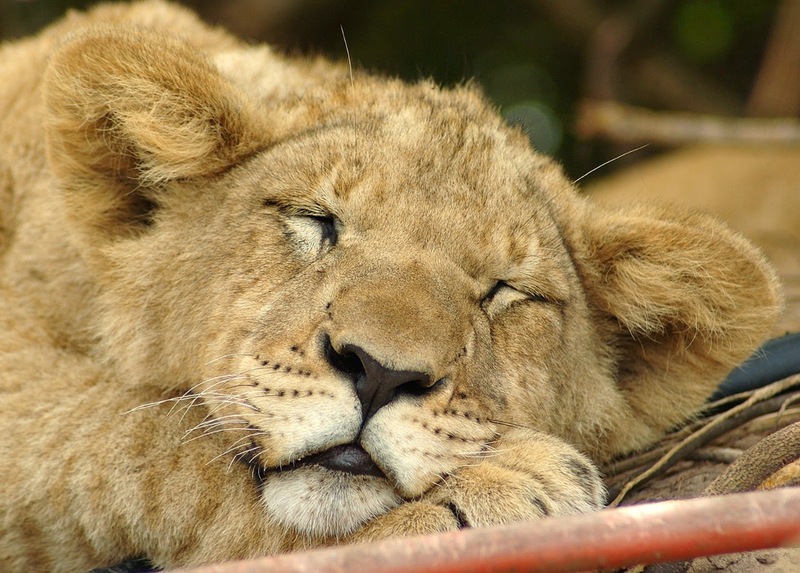 Lions can see six times better in the dark than humans! They have a reflective layer of cells at the back of their eyes. Light from the moon or stars hits the cells and bounces forward, like a car’s headlights. Animals and surroundings appear brighter in the dark. 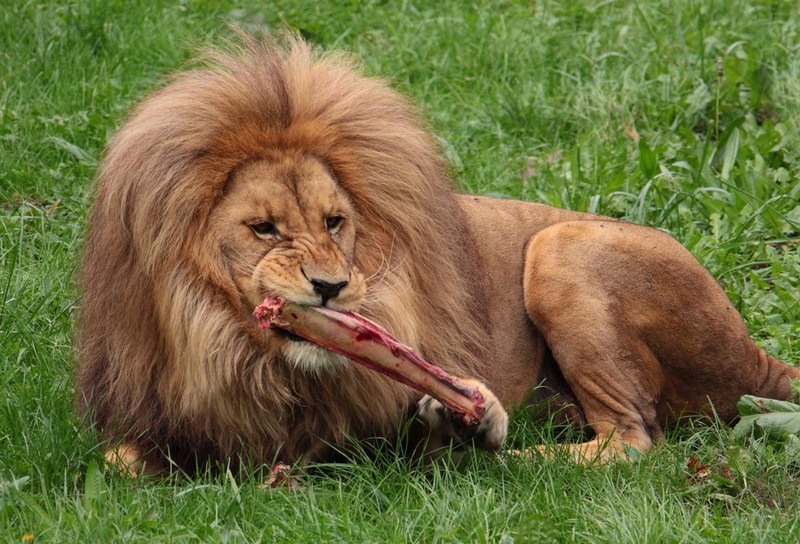 Lions are not picky eaters. They are opportunistic hunters and will eat any nearby animal if they’re hungry enough. They’ll eat anything from birds (including ostriches) to whale carcasses that wash up on Africa’s beaches. Lions hunt in groups, improving their chances of success against larger prey. Group hunts are carefully orchestrated events. For example, each lioness takes on a different role. Some lions act as “wings” by fanning out and circling prey on long stalks. The “center” position carefully stays put until the wings drive the prey their way. Then they attack. Lions once dominated the African landscape—their territories stretched from north of the Sahara to the South African Cape. They even roamed through Greece, Turkey, Iraq, Iran, Pakistan, and India! Ancient Egyptians, Nubians, and Chinese worshipped gods with the head of a lion. 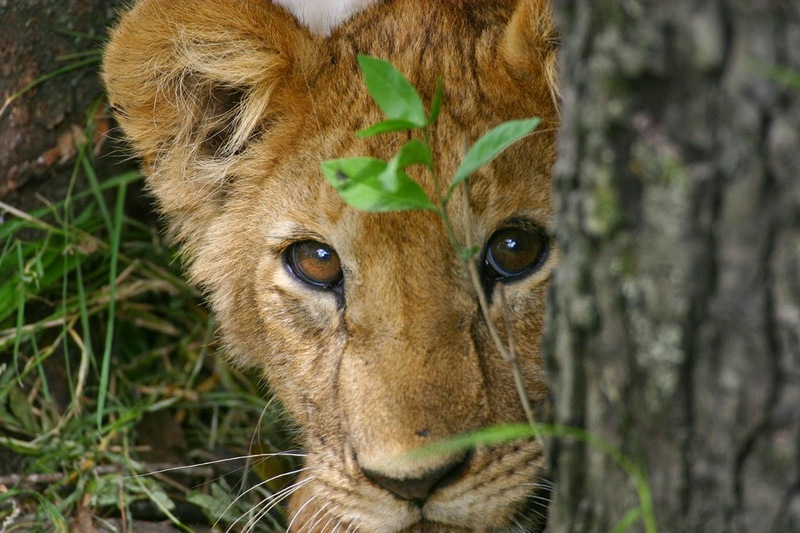 Lions are becoming rarer. 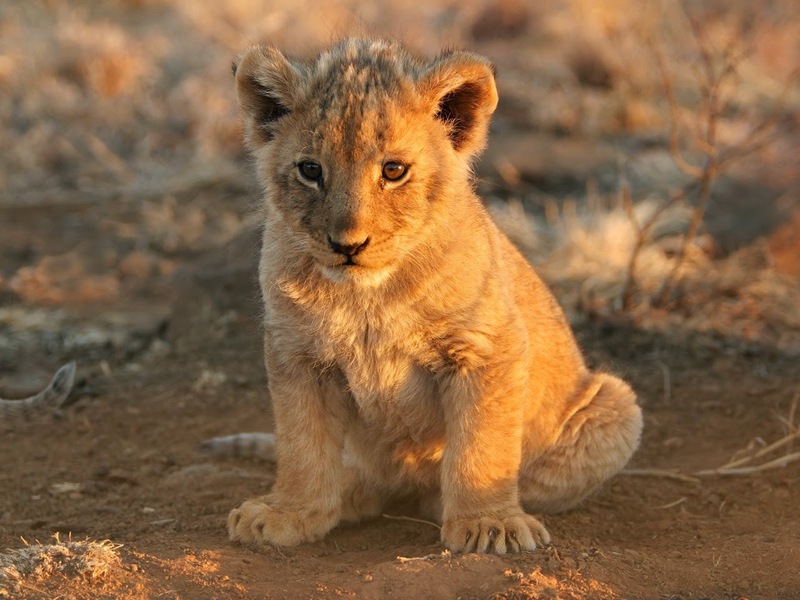 There are only an estimated 35,000 African lions and just 400 Asiatic lions left in the wild. They are being driven out of their habitats by hunters, poachers, and human encroachment. Well that is it. I don't know if you notice or not but the first 9 reasons are so cool but then the last one totally breaks my heart. The thought of them becoming extinct is tragic to me. Please find ways you can help by checking out CauseAnUproar.org or you can donate some of your money to my fundraising page to help us Build A Boma. Learn more about Build A Boma here.